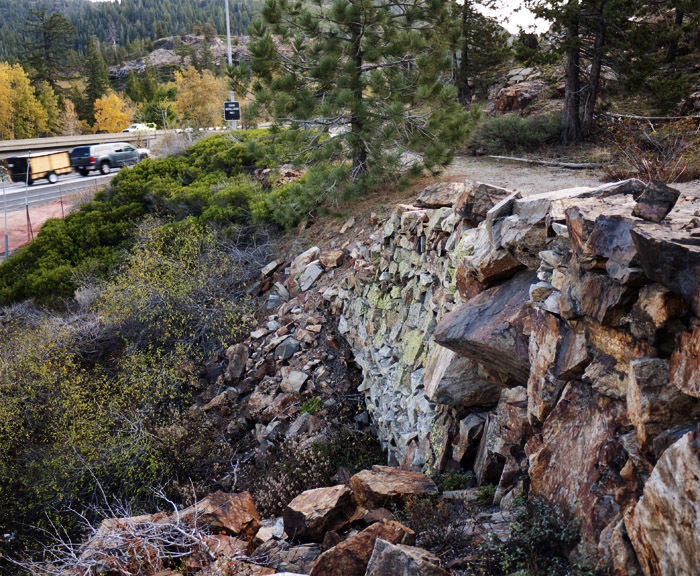 The road that eventually became the Lincoln Highway over Donner Pass was meant to take traffic away from other wagon roads in the area and in that is was a great success. The photograph above dates from the very early days of the road and is just below the pass itself. 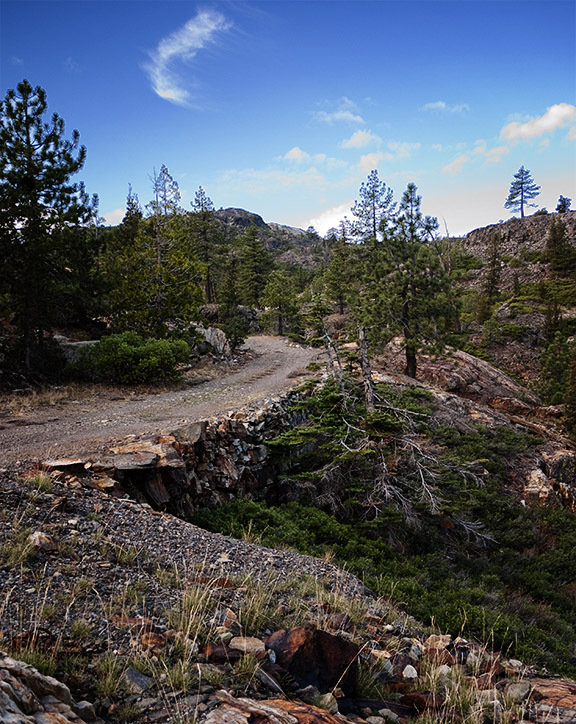 The Dutch Flat and Donner Lake Wagon Road is the subject of many books. I stopped along I-80 and took these photographs of some remains of the road just west of Big Bend. The construction of the Interstate Highway here destroyed much, but not all of the original road. 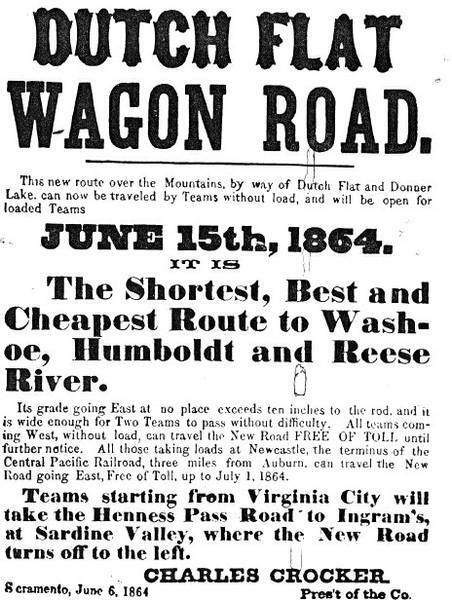 This entry was posted in Lincoln Highway, Sierra Nevada History and tagged Lincoln Highway. Bookmark the permalink.